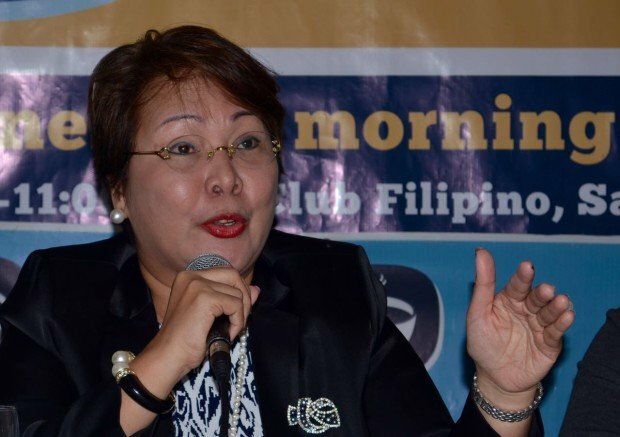 SAN PEDRO CITY—For a government agency that doles out assistance to the less fortunate, holding a P10-million Christmas party in a five-star hotel was “inappropriate,” said former jueteng whistle blower Sandra Cam, who was recently appointed to the board of the Philippine Charity Sweepstakes Office (PCSO). PCSO general manager Alexander Balutan however refuted Cam’s statement on Wednesday, and said that the Department of Budget and Management had approved the original Christmas party budget of P14 million, but that he had it cut down to P6 million. What they had saved would be added to the calamity fund for Biliran and other areas in the Visayas hit hard by Tropical Storm “Urduja,” he added. “Almost half of the (P6 million) went to the employees in terms of (raffle and performance) prizes,” Balutan said, referring to the P200,000, P150,000, P100,000 and two P50,000 awarded for the five best group performances. A copy of a board resolution provided by Cam’s office showed that the PCSO had approved P10.18 million from its 2017 budget for this year’s Christmas celebration, with P3.76 million earmarked for raffle prizes; P3.3 million for “food, venue and physical arrangements;” P900,000 for corporate giveaways, and P600,000 for a Christmas kiddie party. Cam had earlier vowed to clean up the PCSO of corruption, especially in the operations of the Small Town Lottery, prompting Balutan to remind her to stick to her job as board director responsible mainly for policymaking.